When you think of pampering, think of Salon Red. We're located in the Kentlands right on Main Street. Now Offering Keratin Complex Hair Therapy by Coppola. Gift Cards make a great gift for the special someone. We can customize your gift certificate to accommodate specific services, or your dollar amount. 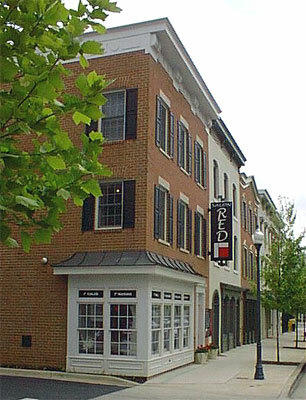 Washingtonian named Salon Red one of the TOP 50 Salons in the Washington, DC area. Jl Palfrey & Palfrey Associates, LTD.